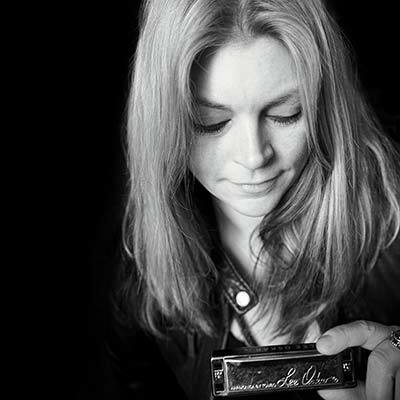 Stacy Jones is the 2016 Washington BB Song Writer of the Year Award Winner for her 2016 BB Award winning album Whiskey, Wine and Water, as well as the 2015 IMEA (International Music and Entertainment Association) award winner for Best Blues Song “Can’t Do Nothin’ Right” off the same album. She is continually nominated for “Best of the Blues” awards in songwriting, performance, harmonica, guitar and winning vocalist of the year in 2010 and 2014 She has performed internationally through Europe, and at venues and festivals including the Chicago Blues Festival and SXSW all across the United States. She has shared stages with Elvin Bishop, Charlie Musselwhite, Lee Oskar, and many other legends. Her music has been described as “A Whiskey & Water Baptism that lace Blues and Rock edges.” “With her feet firmly planted in roots based music, Stacy Jones pays homage to the blues but experiments by mixing in some mild-Americana and subtle country licks. Dynamic vocals fueled by powerful lyrics.” “the rolling thunder blues of Howlin’ Wolf mixed with the honesty of Lucinda Williams”.